After busting through a Tyrannosaurus Rex-sized box office milestone to become the third highest-grossing movie of all time, Jurassic World has finally cemented its already-assured status as the first chapter in a rebooted Jurassic Park franchise for Universal. The studio announced today that a sequel to Jurassic World will be released on Friday, June 22, 2018. Chris Pratt and Bryce Dallas Howard, the new faces of the franchise, will reprise their roles as Velociraptor trainer Owen Grady and park operations manager Claire Dearing, respectively. 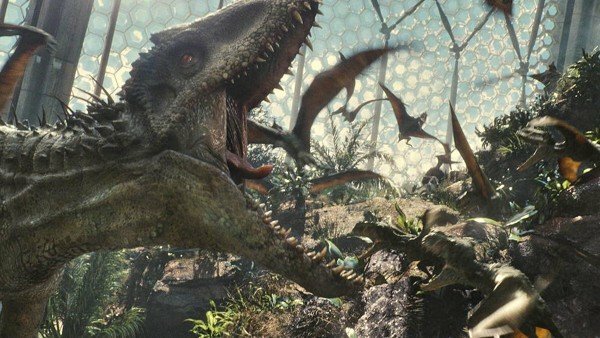 Colin Trevorrow, who directed Jurassic World, and Derek Connolly, who rewrote the script, will work together to pen the script for a follow-up. Jurassic World has been one of the most successful movies ever released in the history of Universal, having earned $1.5 billion worldwide to date and becoming both the third biggest domestic release of all time and the third biggest worldwide release of all time. Despite earning solid but not rave reviews, it tore past every expectation, dominating the box office for weeks and quickly breaking all sorts of records in its initial theatrical release. So, it really comes as no surprise that the studio is pushing ahead with a follow-up.